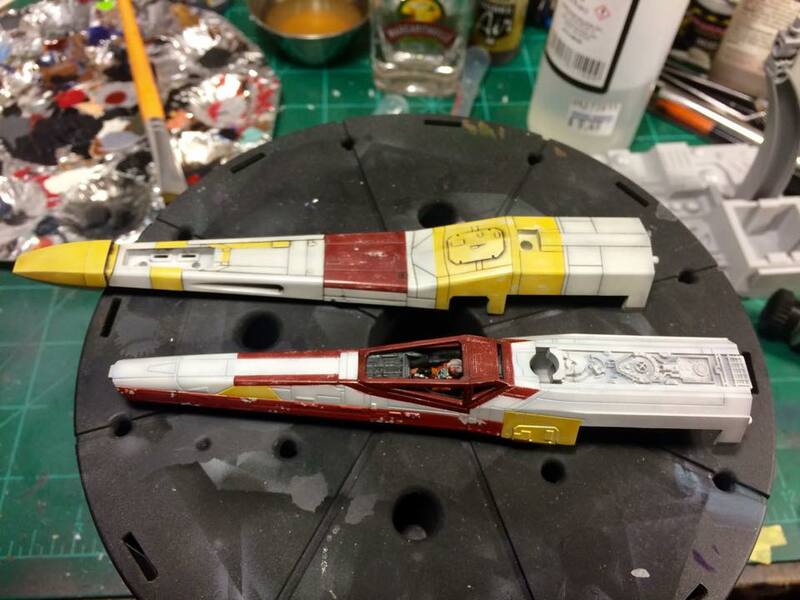 This is a short updated, but I've started the gunk wash on Porkins' X-wing. The bottom half has already been gunk washed while the top half has not, leaving a noticeable difference. After all of the parts are done they will be left to dry for a week or so and then will be given a matte varnish in preparation for more weathering. Gunk washes have quickly become one of my preferred methods of weathering. The dirty surface effect they create works very well with Star Wars ships and it really makes a nice base for the rest of the weathering.